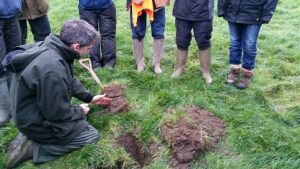 Running from 23rd – 31st March 2019, Dr Jackie Stroud of Rothamsted is inviting farmers to take part in a big farmland soil assessment as part of #WorldWormWeek. Earthworms are important for healthy soils, helping to improve soil structure, improve nutrient availability, improve drainage, aid organic matter decomposition and improve plant productivity. Healthy soils, means healthier catchments and better water quality – win win! To find out more about how you can get involved, read this article by the NFU.